In a prophetic letter, Sr. Lucia wrote that “The decisive battle between the Lord and the kingdom of Satan will be over marriage and the family.” Today, this battle rages fiercely around us. That’s why the AFC focuses on strengthening families in the Catholic Faith. Engraved Family memorials throughout the Holy Family of Fatima Prayer site provide hope to all who visit because of people like you. We invite you to join us in this spiritual battle while there is still time to make a difference! Your personalized family memorial at the Holy Family of Fatima Prayer Site can help to strengthen families in faith for years to come. Bears witness to God’s work in your life by memorializing your loved ones, your entrustment to the Holy Family, or another special moment. Draws down spiritual protection for you, your family, and your loved ones by uniting you to the outpouring of graces through the prayer site. Preserves the prayer site for future generations by providing for expansion, maintenance, and the AFC’s crucial ministry to families. 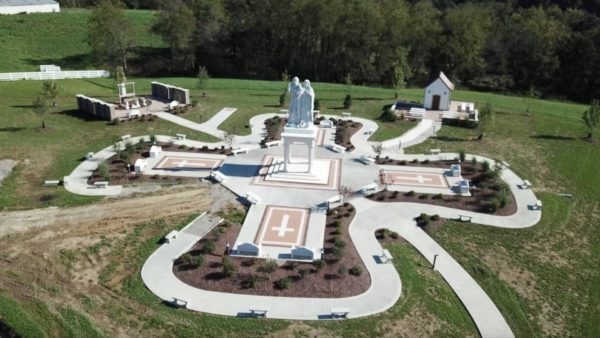 The main plaza of the prayer site extends from the base of the Holy Family of Fatima statue into a graceful four-leaf clover shape, with each petal representing a set of the Rosary mysteries. 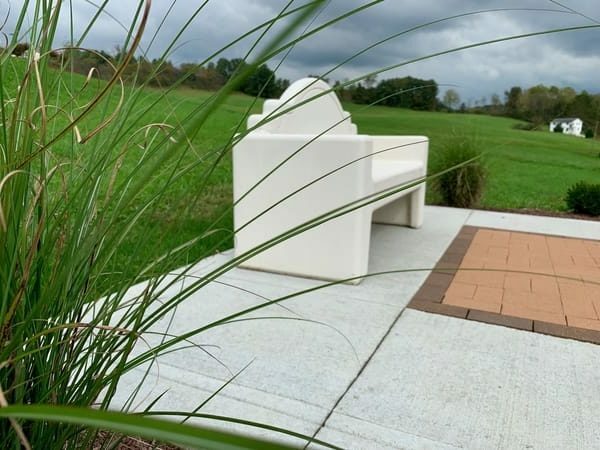 Benches placed in these alcoves draw pilgrims to meditate on the vision brought to life by the Holy Family of Fatima statue, to pray a Rosary, and to make (or renew) their consecration to the Holy Family. 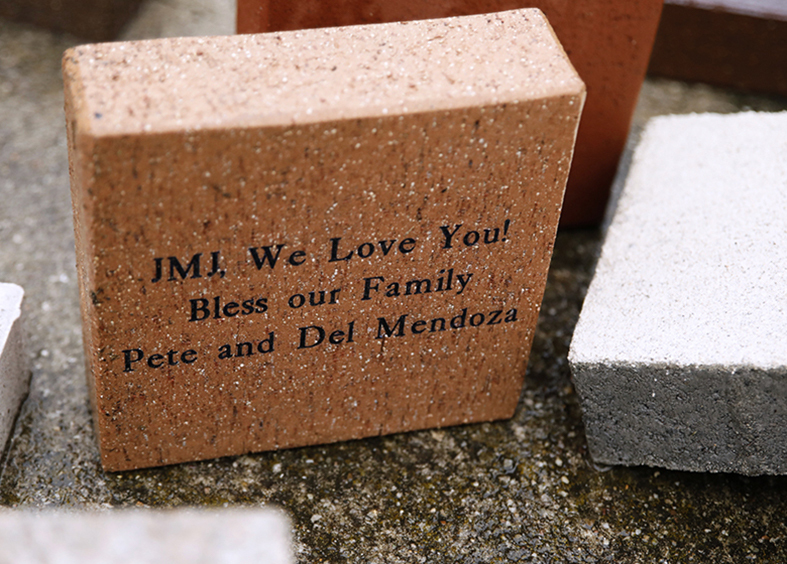 A personalized engraved family memorial brick, placed in one of the alcoves in the main plaza, is a special way to commemorate your consecration or memorialize your family and loved ones. During her final apparition, Our Lady of Fatima requested that a chapel be built in her honor on the site where she appeared. Her request was fulfilled almost immediately, but only a few years later, this capelinha (little chapel) was blown up by anti-clerics and had to be rebuilt. Miraculously, the statue of Mary inside the chapel was unharmed by the explosion. Visitors to the Holy Family of Fatima Prayer Site can pray to Our Lady in a replica of the original capelinha. As they light candles here, pilgrims get a taste of what it is like to visit the shrine in Fatima, Portugal. You too can honor Our Lady or ask for her special protection by dedicating an engraved memorial brick to be embedded in the capelinha plaza. Small gardens, set back from the main path leading to the Holy Family of Fatima statue, offer peaceful stopping points for pilgrims to rest and pray. These beautiful flower gardens highlight Our Lady of Fatima’s five initial visits from heaven. Over and over again throughout these apparitions, our Blessed Mother asked Lucia, Jacinta, and Francisco to pray the Rosary every day, especially for the conversion of sinners and peace in the world. 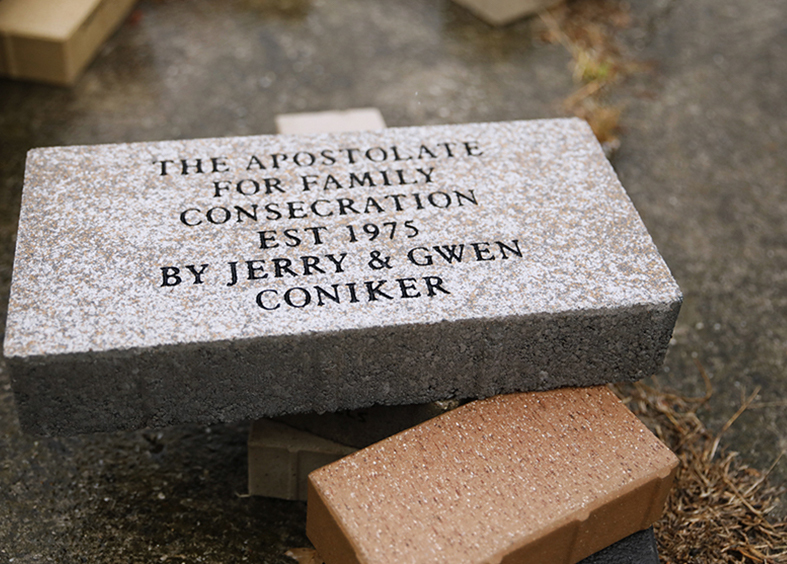 Unite your family name to this mission of prayer and sacrifice by dedicating an engraved family memorial brick to be placed in one of the Visitation Gardens. The spiritual impact of the Holy Family of Fatima Prayer Site is just beginning. As the number of visitors to this holy place grows, so will the prayer site itself. Future plans for the prayer site include a picnic pavilion, a playground, an outdoor theater, and a museum. The initial stretch of walkway that runs south from the site will eventually become the full River Walk connecting the meditation areas, nature trails, and other site features. 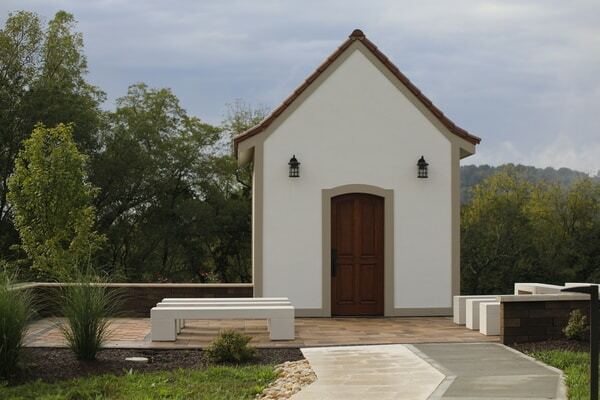 By dedicating a memorial brick for the River Walk, you can support the expansion of the Holy Family of Fatima Prayer Site for future generations. At the heart of the prayer site stands the Holy Family of Fatima statue, exclusively hand-carved for the Apostolate for Family Consecration®. The 16-foot statue was made from a single piece of marble hewn out of a mountainside on the island of Romblon, in the Philippines, the only Christian country in Asia. Due to the statue’s height, the artists carved all three figures with the marble in a horizontal position, making it a true labor of love and respect for the Holy Family. An engraved memorial brick inlaid around the base of the statue’s pedestal provides an opportunity to be remembered in the presence of the Holy Family. Jesus, Mary, and Joseph greatly desire to bless you and your loved ones! The Cova da Iria Garden, enclosed by beautiful memorial walls, recreates the Fatima apparition site for new generations. Our Lady’s visits from Heaven are brought back to life by statues of Mary, the three children, and a lamb. The garden also includes a replica of the wooden arch built over the small holm oak tree where Our Lady of the Rosary appeared—a symbol of tender love for our Blessed Mother. The names of your loved ones, memorialized on the walls surrounding the Cova da Iria Garden, are connected to this amazing moment in history. 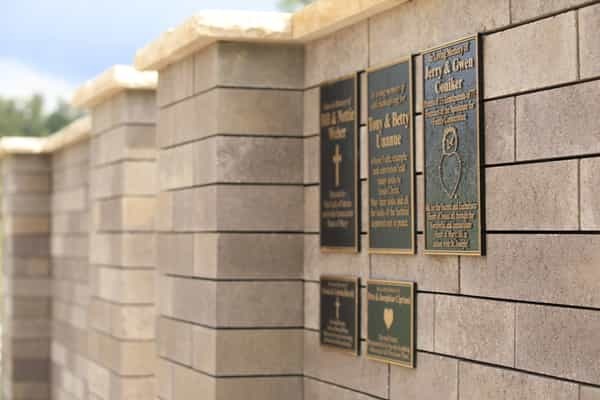 The prominent location of the memorial walls means that your loved ones will be uniquely remembered in prayer by those who visit this site. The most valuable gift you can give your children and grandchildren is that of faith. Your family memorial will stand as a perpetual sign of your entrustment to the Holy Family and of your faith—a truly precious legacy. In addition, your gift provides for the expansion and maintenance of the Holy Family of Fatima Prayer Site, as well as the AFC’s crucial ministry to families. 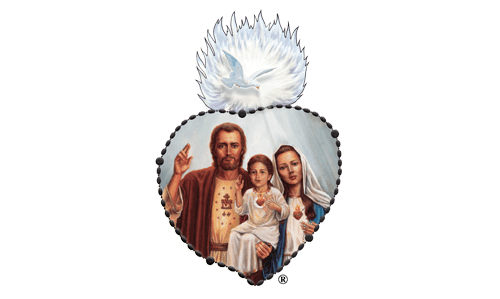 Together, we can inspire countless pilgrims to live the Fatima message and consecrate themselves to the Holy Family.